A tangy and garlicky salad dressing. 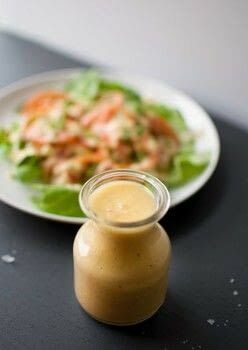 Something a little different - artichoke salad dressing! Perfect with butter leaf lettuce and tomatoes. Makes enough dressing for several salads. Mix all ingredients together in a blender until smooth. Store dressing in refrigerator for up to a week.